There's an art to making sushi and it can take a while to master the roll technique. Slicing thin raw vegetables is a lot easier to do, which makes this sushi bowl a brilliant alternative. 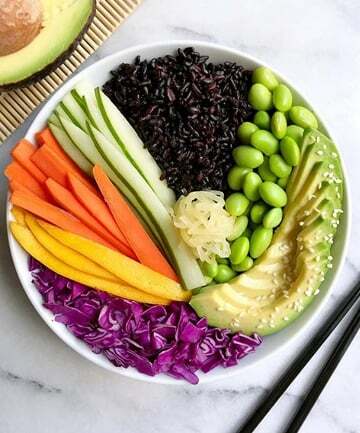 Try black (aka forbidden) rice instead of white. The sweet and spicy maple-ginger-tamari sauce just might make you forget about soy sauce.